What would you do if you thought you had killed someone? After an innocent prank goes horribly wrong Johnny is wracked with guilt, but things go from bad to worse as the consequences of his actions spiral out of control. On the way back from the park one sweltering summer day, Johnny and his friends spot the mean old lady who burst their football. They decide to take their revenge and give her a drive-by soaking with their water pistols. Johnny later discovers that the old lady has suffered a heart attack and died. He feels terrible, and when he starts waking up at the same time every night, in a cold sweat, sensing a presence in his room, he is convinced she is haunting him. To make matters worse, the impossibly cool girl Johnny can’t get out of his head is the old lady’s granddaughter. He doesn’t know what to do, but the sleepless nights and ghostly visits are getting to him. Something has to change . 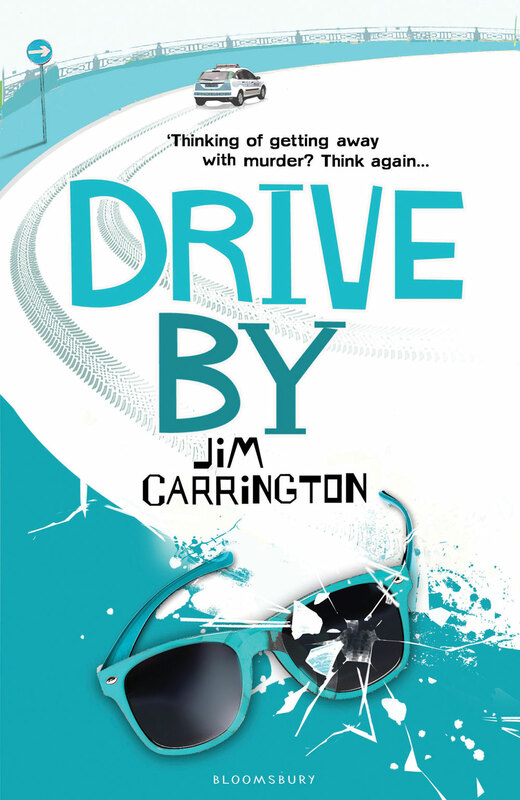 . .
Jim Carrington is an expert at writing gripping stories with teen dilemmas at the heart of them. Drive By raises moral questions about taking responsibility for your actions as well as keeping the reader guessing right until the end. Jim Carrington grew up in Norfolk before moving to Raynes Park, London, where he still lives. When Jim was at university he started writing a fanzine, which is when he realised that he was better at making things up than reviewing gigs and albums. Not long after that he moved on to writing short stories and decided to do the MA in Writing for Young People at Bath Spa University. Jim is also a primary school teacher. Jim’s debut novel was inspired by his memories of school bullies. Inside My Head was initially a short story he wrote for anti-bullying week. It was shortlisted for the Lancashire Book of the Year award.